Date: Nov 17 2018, 10 a.m. - 4 p.m.
Shop local and support your fellow community members with unique artisan-made gifts and goodies for the holidays. Have a holiday craft or treat to share with the community? Are your homemade gifts the stuff of Christmas legend? Do you have gently used items or antiques that deserve a second chance to be loved? 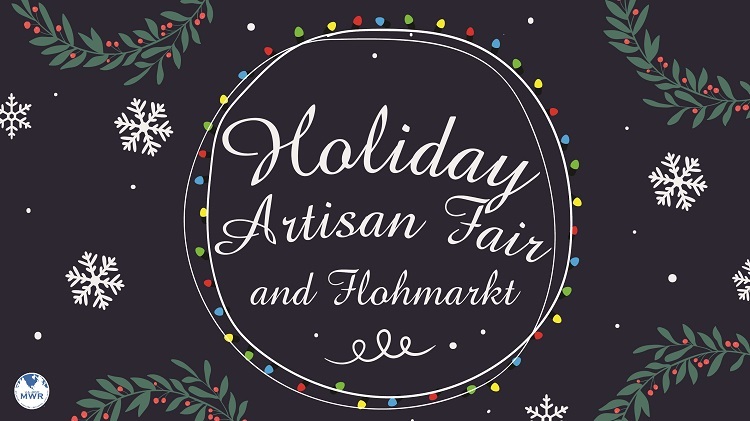 Secure your vendor booth at our inaugural Holiday Artisan Fair and Flohmarkt by calling the Rheinland-Pfalz Arts & Crafts Center today! Tables must be reserved 3 days prior to event date.